Rory's Story Cubes is a pocket-sized creative story generator, providing hours of imaginative play for all ages. There are infinite ways to play with Rory's Story Cubes! Try them as a party game or ice-breaker, for literacy development, speaking and listening skills, creative inspiration, a mental workout or problem solving. Anyone can become a great storyteller and there are no wrong answers. Simply roll the cubes and let the pictures spark your imagination. 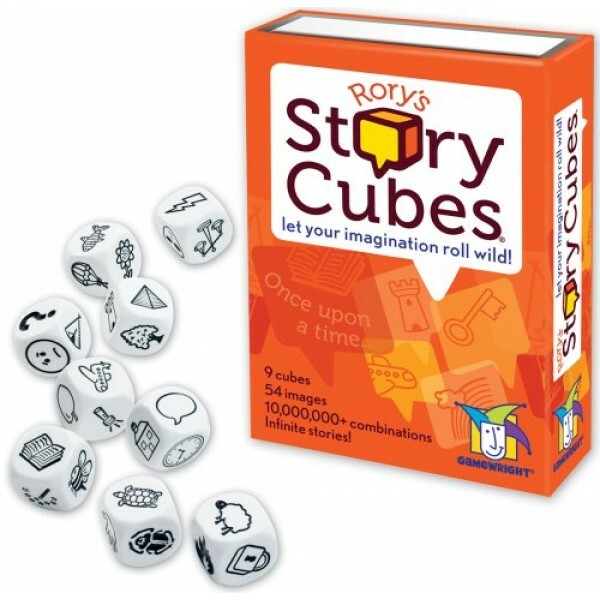 Rory's Story Cubes are also available in two more fun versions: Rory's Story Cubes - Voyages, designed to inspire stories of epic adventures and Rory's Story Cubes - Actions, featuring 54 everyday verbs. - Spark creative play anywhere!